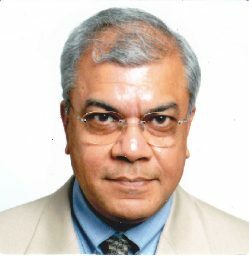 Mr. Chatterjee has over 25 years of management consulting, strategic planning and financial management experience in the automotive, electronics and distribution industries. He has served automotive OEMs and several Tier 1 automotive companies in the areas of strategy, manufacturing cost reduction, global restructuring, sales force effectiveness and global sourcing. Since 2004, Mr. Chatterjee has been a Senior Advisor to Chanin Capital Partners, a financial restructuring advisory firm. In this role he has been involved in several automotive bankruptcy situations including Delphi, Collins & Aikman, Dura and Remy Intl. Separate from his association with Chanin, he is an automotive focused consultant to a number of private equity and hedge funds. In this capacity, he has worked with these firms to help assess and consummate acquisitions in the automotive parts sector. Mr. Chatterjee was interim CFO and Senior Vice President of Strategic Planning for Visteon Corp. He was responsible for all financial activities for Visteon as well as for developing and putting in place a restructuring plan for this $18 Billion Tier 1 automotive company. Prior to Visteon, Mr. Chatterjee was a Senior Director at McKinsey & Company. He opened McKinsey’s Detroit office and was head of their North American Automotive practice. He grew the Detroit office from an initial base of 6 professionals to about 50 in 3 years. Mr. Chatterjee was also a partner at ATKearney and has broad international experience. He spent 3 years in the Middle East helping a large distributor of construction equipment install critical IT systems including financial, parts inventory control and product order processing systems. He has also worked with large companies in Europe and Asia. Before his business career, Mr. Chatterjee worked as a hardware/software engineer at NASA, Goddard Space Flight Center, helping build mission control modules for satellites. Mr. Chatterjee has a Bachelor of Engineering (Electronics) from the Indian Institute of Technology in New Delhi, India. He has an MS in Computer Science from George Washington University in Wash. DC, and an MBA from Stanford University in Palo Alto, CA.